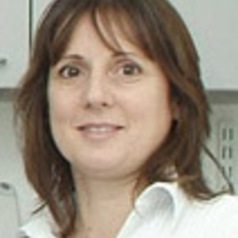 Elaina Collie-Duguid was awarded a first class BSc (Hons) degree in molecular biology from the University of Queensland, Brisbane, Australia in 1990. Her time as a research assistant at the Centre for Molecular Biology and Biotechnology (currently The Institute of Molecular Bioscience), University of Queensland, was followed by a period of international travel, culminating in a move to Aberdeen in 1993 to begin a PhD in molecular and cellular biology at the Rowett Research Institute. In 1996, Dr Collie-Duguid took up post as a post-doctoral scientist in the Department of Medicine and Therapeutics at the University of Aberdeen and she now heads a Cancer Medicine research group with a particular focus on breast cancer within the Cancer Biomedicine programme. Dr Collie-Duguid manages the Centre for Genome Enabled Biology and Medicine (CGEBM) at the University of Aberdeen. CGEBM provides strategic direction and coordinated management of the University of Aberdeen’s genomics facilities and facilitates genomics enabled interdisciplinary research by provision of specialised expertise, infrastructure, training, a focal point for collaboration and information exchange and genomics services to the research community. CGEBM provides specialist services in next generation sequencing (NGS), microarrays, bioinformatics and biostatistics. CGEBM helps to drive genome focused research forward by developing and exploiting modern genomic technologies to accelerate discovery of novel approaches to improve human health, the environment and agriculture within the diverse programmes of applied translational, clinical, biomedical and biological research at the University of Aberdeen.